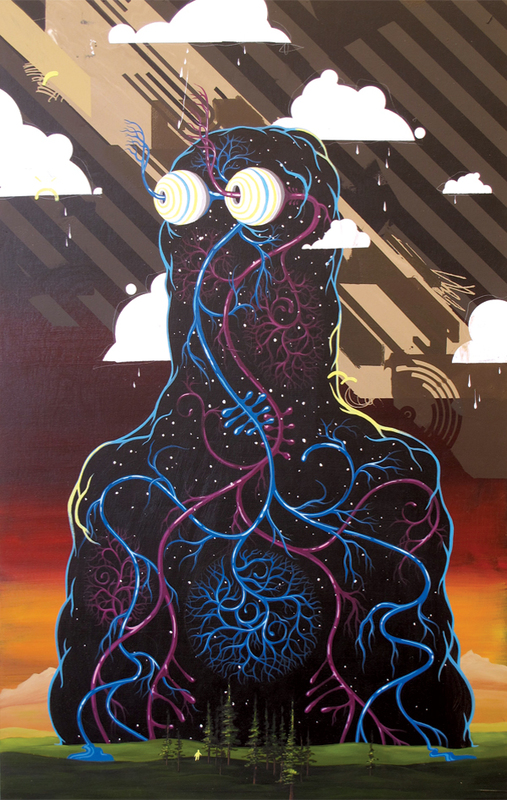 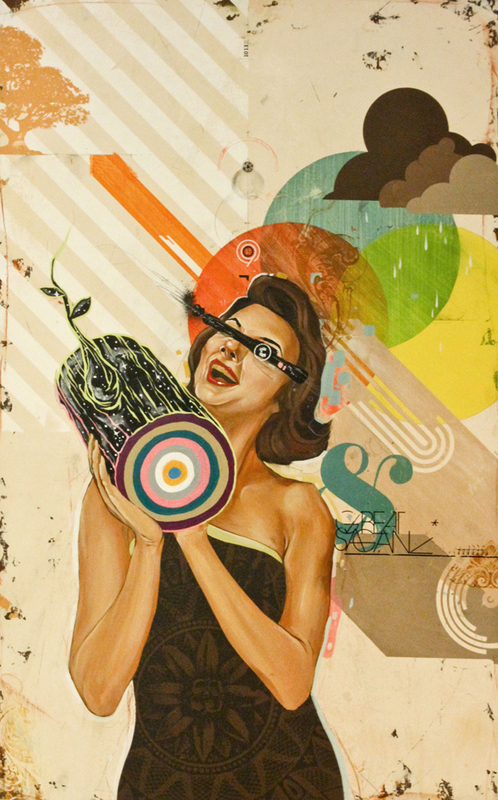 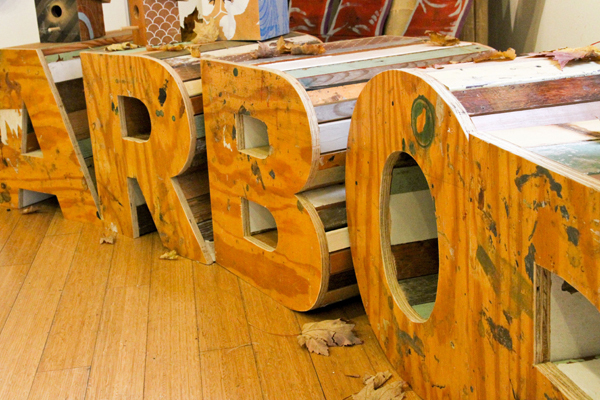 The Arbor Collective approached us 6 months ago asking if we were interested in creating a commissioned show at the Evo gallery in Seattle. 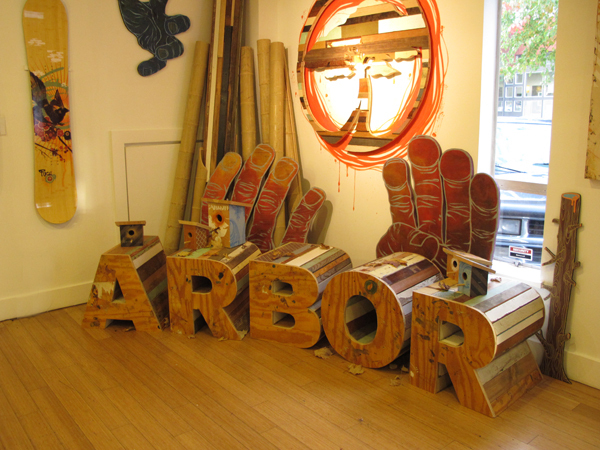 Collaborating with Arbor, we echoed the company’s rooted practice using sustainable materials for all their products. 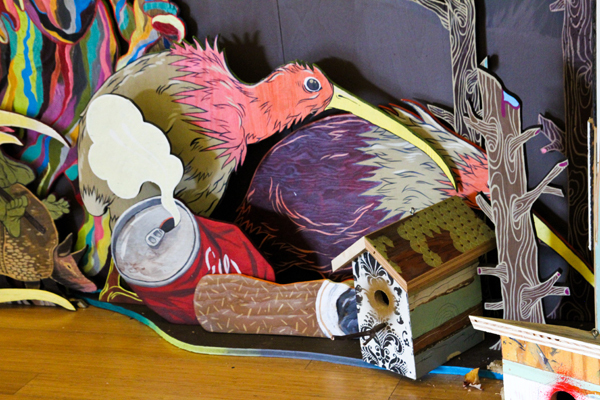 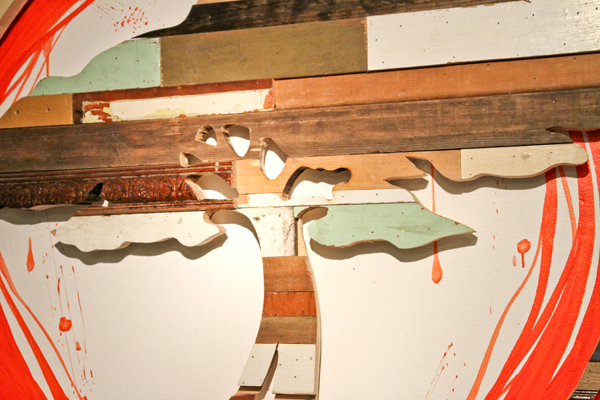 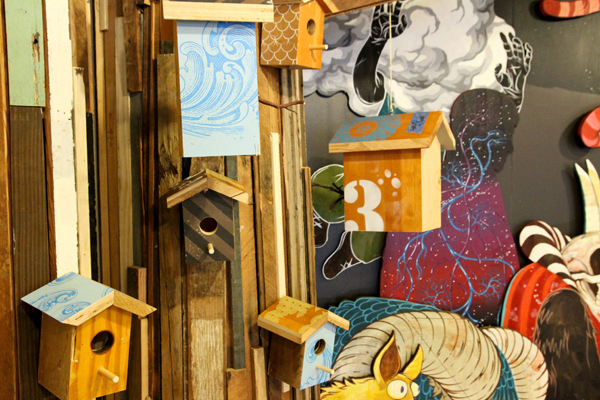 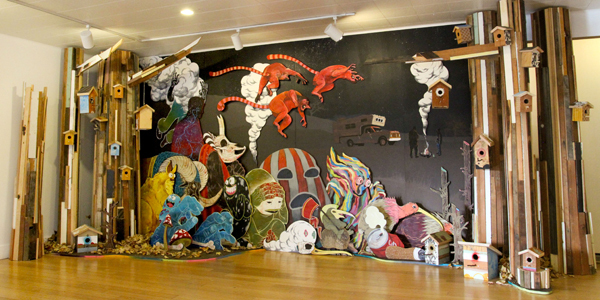 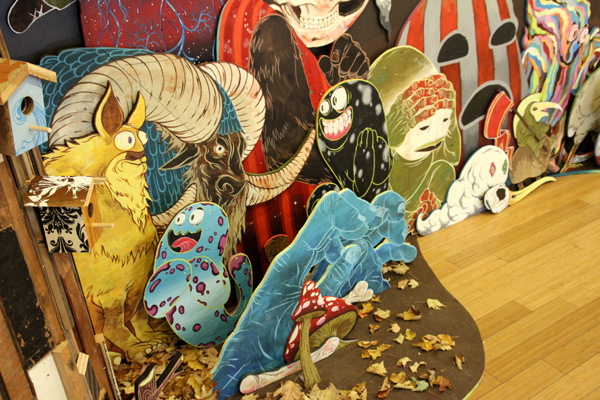 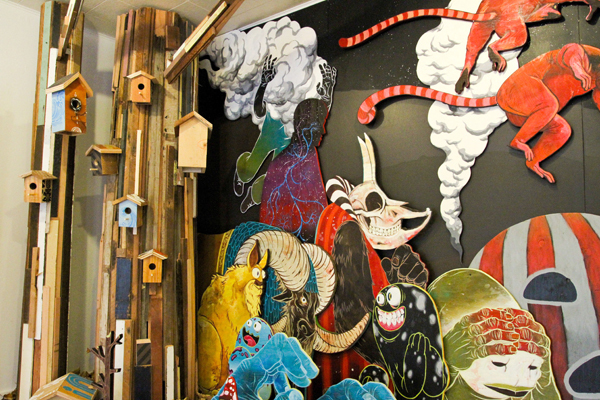 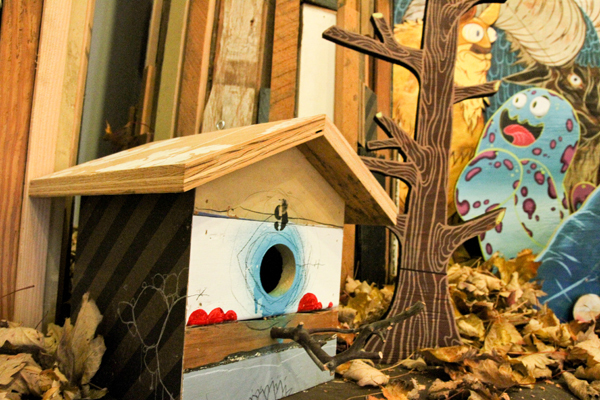 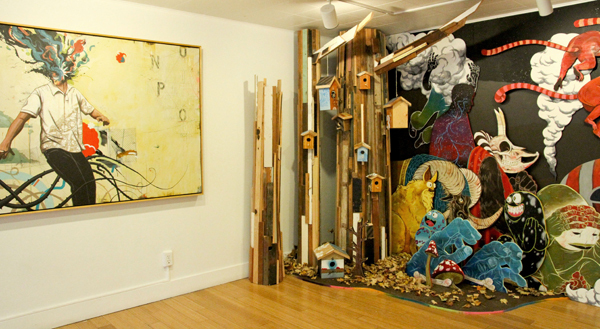 The entire show is comprised of all reclaimed, recycled, or repurposed wood/media, only 5 sheets of plywood were bought to create this highly involved, rich and detailed dreamy “Camp Fire” scene. 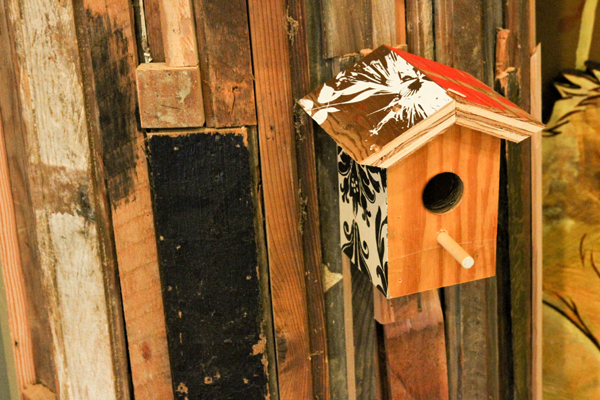 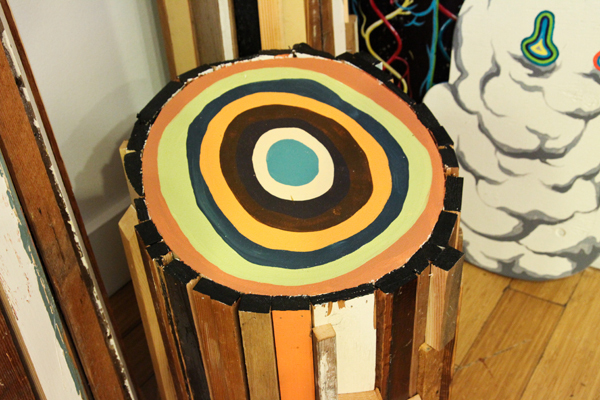 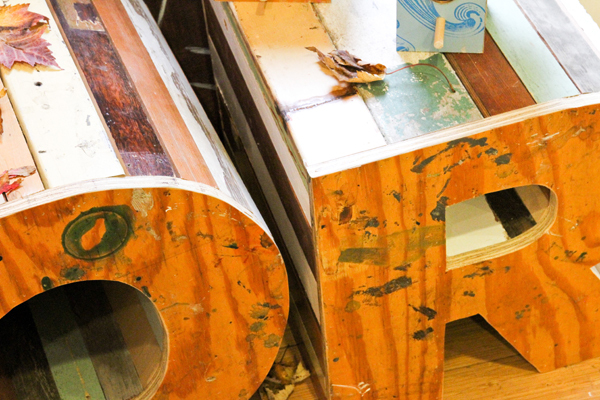 A lot of the wood were leftovers from the TEDx install, and a couple more donations from my studio neighbors Orange. 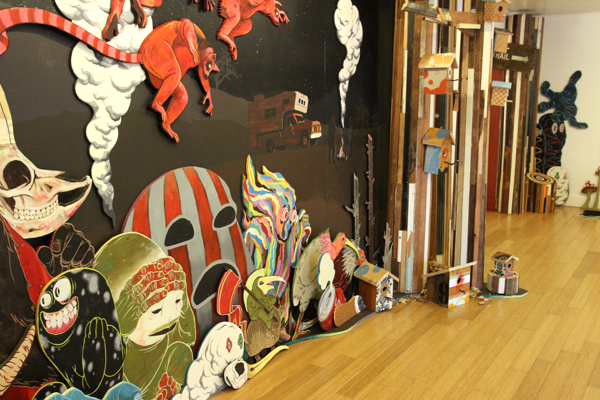 Zach and I displayed 2 new collaborative paintings along with our earlier one we did a year ago. 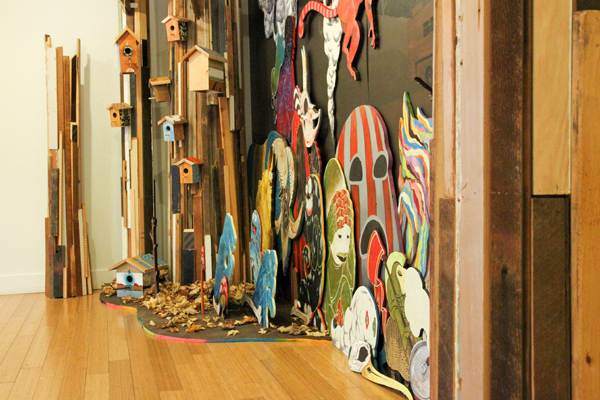 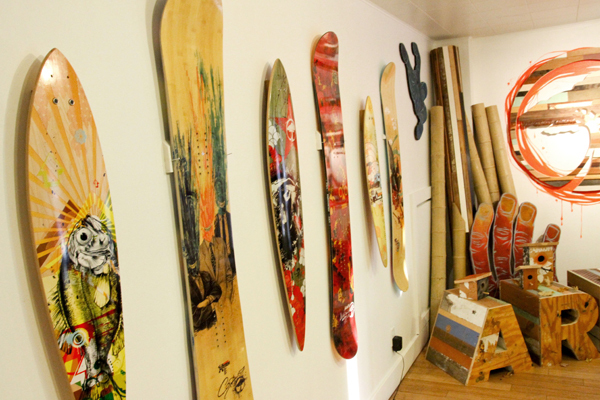 More than half of the installation was available, making it over 60 purchasable items.